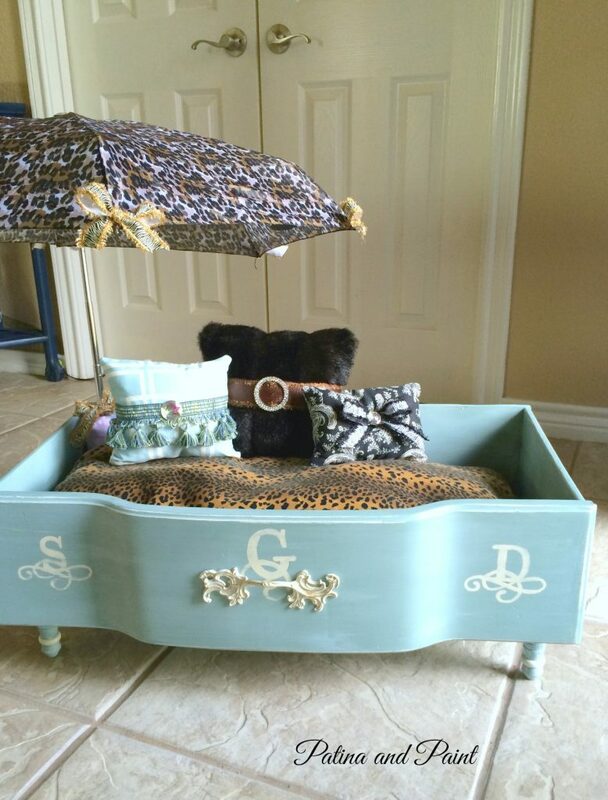 If you saw my post last Monday you saw the cutest shabby chic dog bed that I made for my sweet seester. 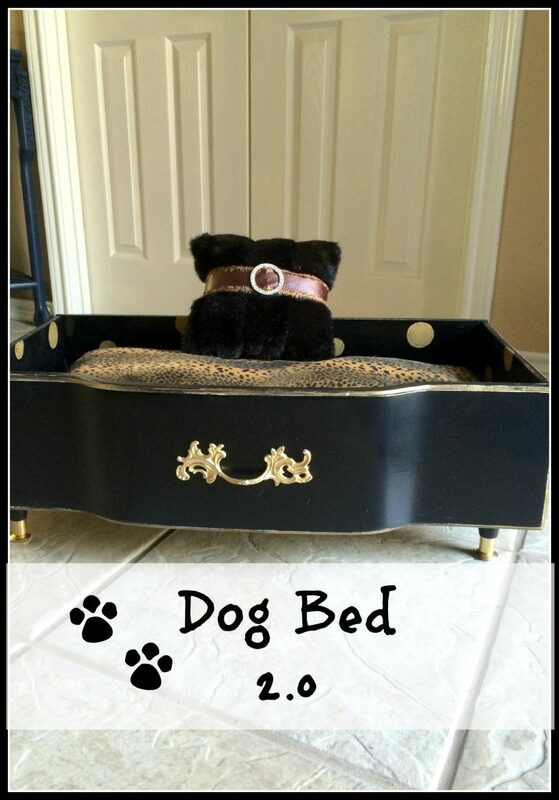 Today I am going to share with you the Diva Dog Bed 2.0! 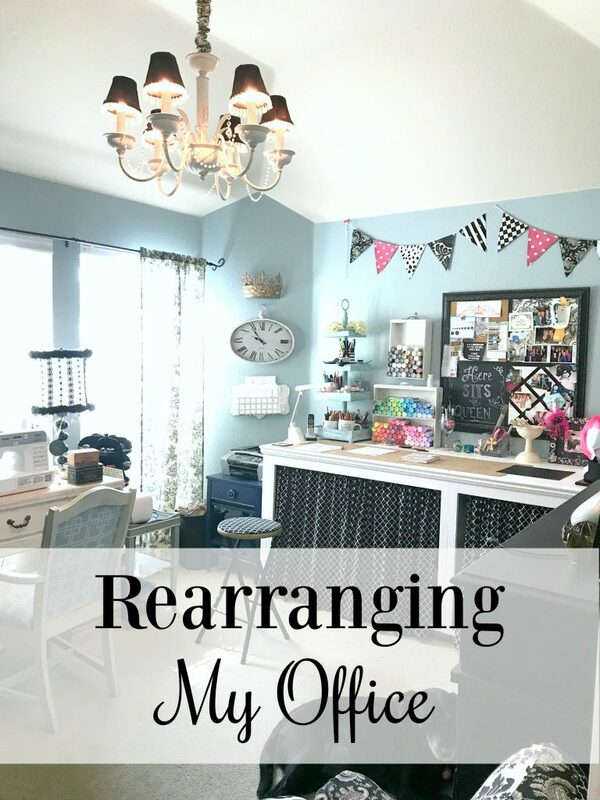 For those of you who missed it, this is what my sweet friend Shelli found dumpster diving and was kind enough to haul it home for me. 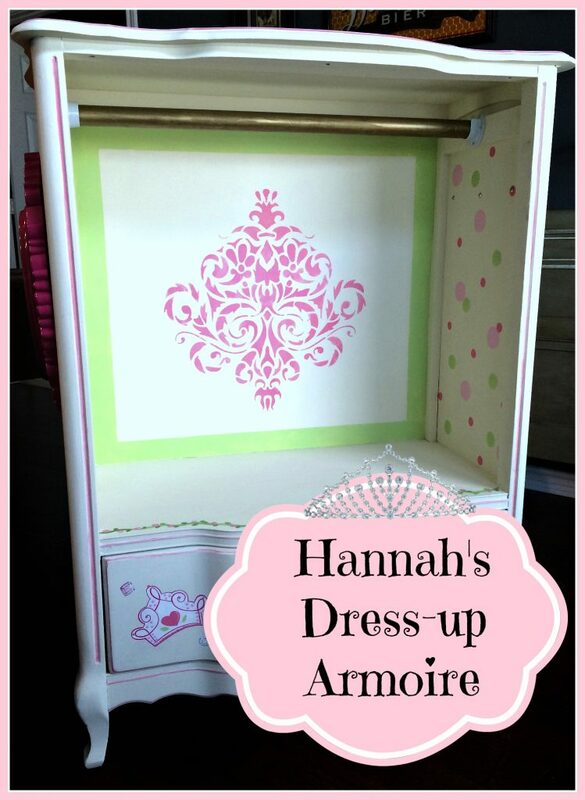 (I made it into a dress up armoire for my great niece, Hannah. 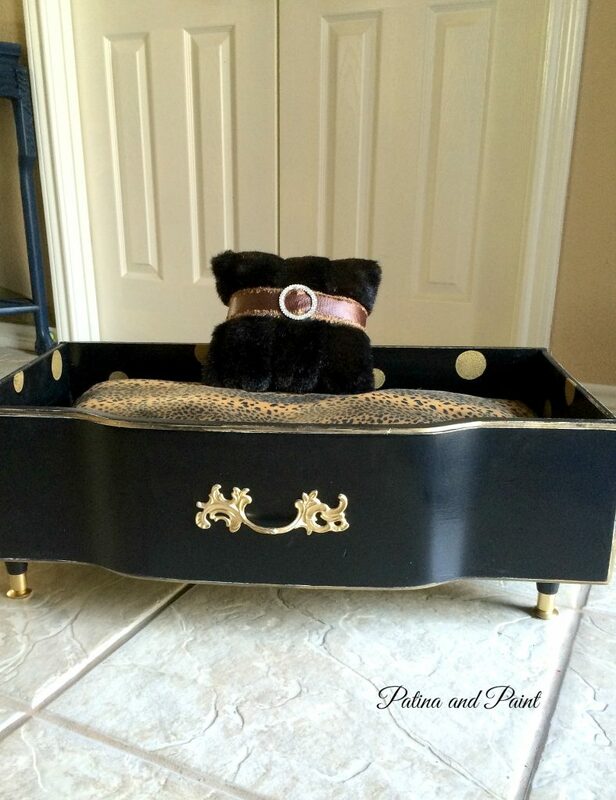 )I had a couple of extra drawers and just knew that they would make awesome dog beds. Here is the killer awesome one I made for my seester and her two pups…. 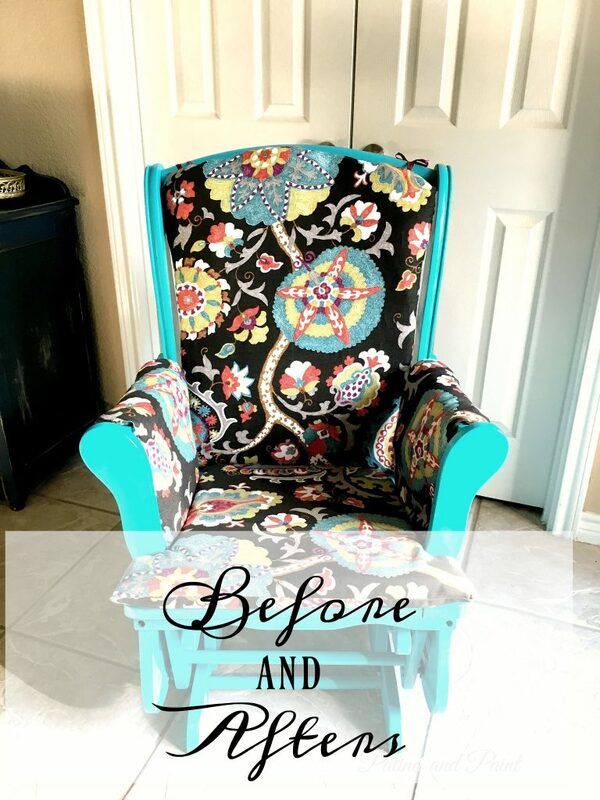 shabby chic with a little bling. 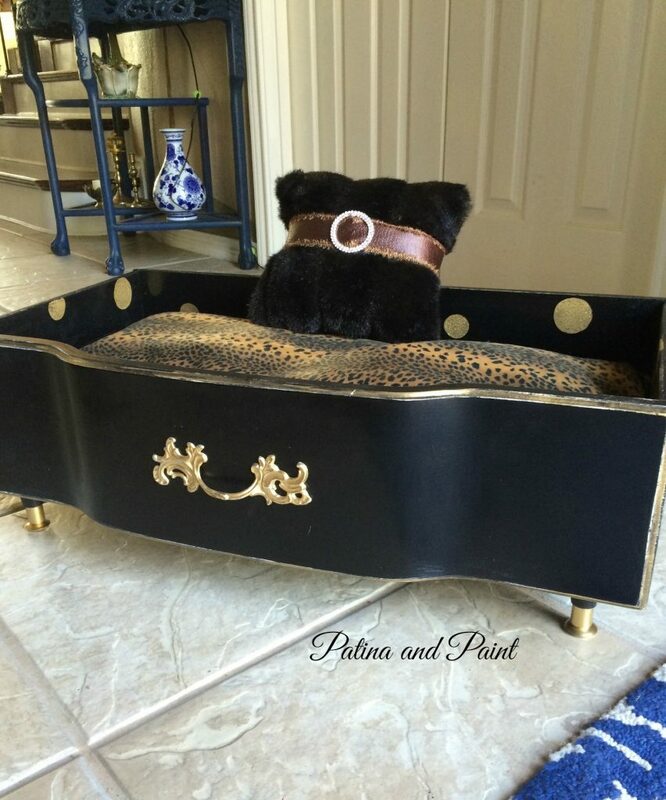 Since my friend Shelli was nice enough to give me this piece, I thought that the least I could do was make her a diva dog bed of her very own! 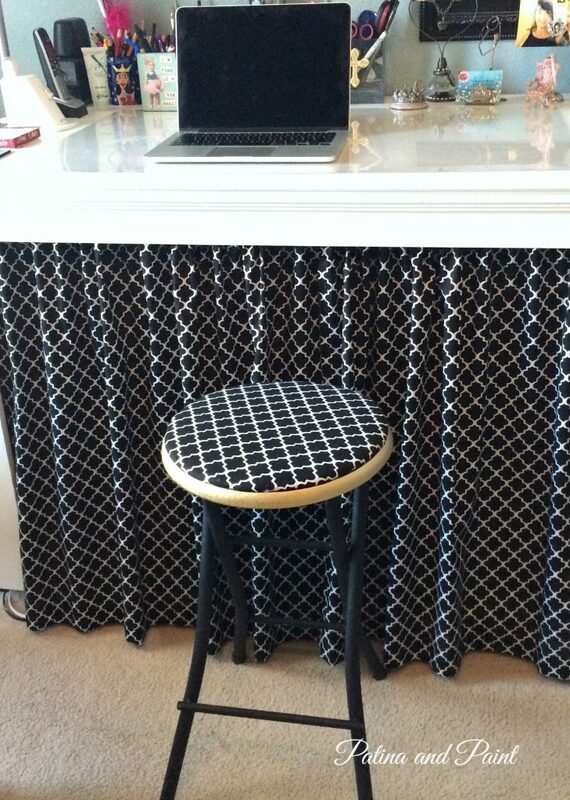 This one is more glam with a fun twist. The entire drawer was spray painted a black gloss and distressed to let some white show through. 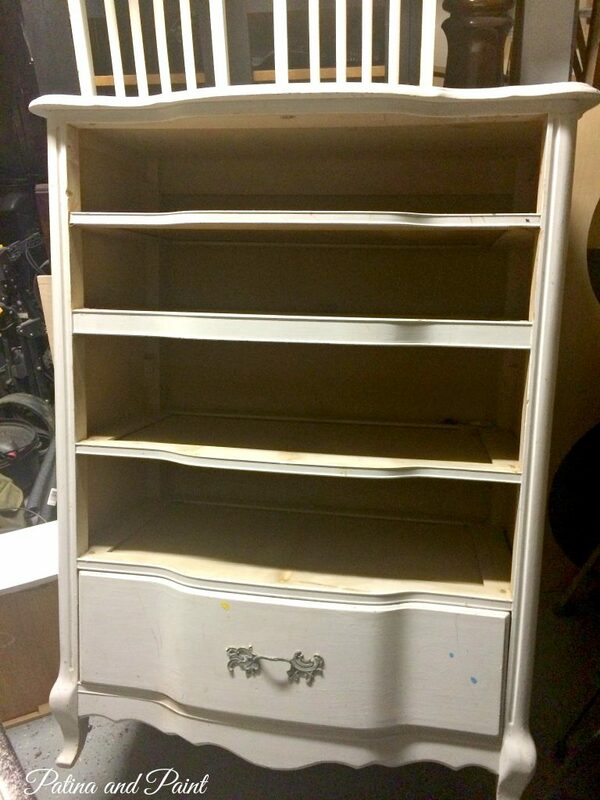 Gold accents around the drawer’s front and handle just scream “look at me!” The legs are a little more 50’s glam style instead of the carved ones I used before on the shabby chic piece. Here’s the twist… on the inside, I painted two different sizes of gold circles. A little fun to go with the traditional glam of the outside. Cute, no? 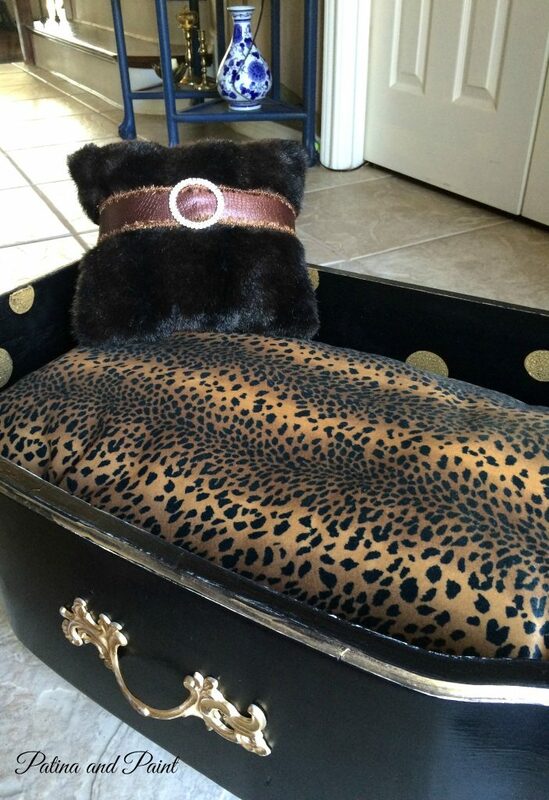 I honestly don’t know which diva dog bed that I like the best… as long as my friend Shelli likes it that’s all that matters!